Chamarajanagar: The Police officials who has been investigating the case of Kichuguth Sulwadi Maramma Temple 'Prasadam' poisoning case have submitted a 6,163-page charge sheet before the Principal District and Sessions Court.Over 17 persons were killed and more than 120 fell ill after eating the 'Prasadam' laced with pesticide on December 14, 2018 at Maramma Temple in Sulwadi in the District. Kollegal DySP Puttamadaiah, who is also an Investigation Officer in the case, has submitted the voluminous charge sheet after recording the statements of 322 witnesses, including the people who fell sick after consuming the poison, temple trustees, government doctors and villagers. The Police officers have provided evidence against the accused before the Court. 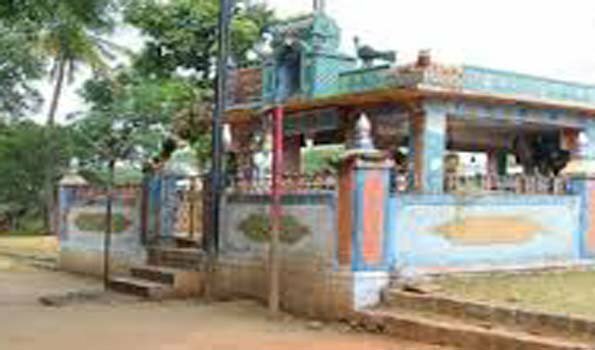 Salur Mutt Junior Pontiff 52-year-old Immadi Mahadevaswamy alias Devanna Buddhi, 35-year-old Ambika, Secretary of Maramma Temple, her husband 46-year-old Madesha, who is the temple manager, and temple priest 35-year-old Doddaiah Tambadi are the accused in the case.